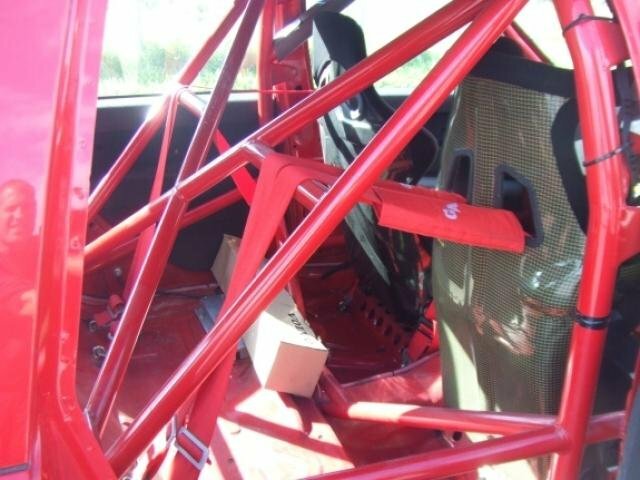 It's still purportedly street legal, and looks totally stealth from the outside; on the inside, it's been stripped with a very competent-looking roll cage installed. As one BaT commenter suggested, you could "bolt a childs recaro car seat to the floor to complete the package." I'm game. But wait, there's more. 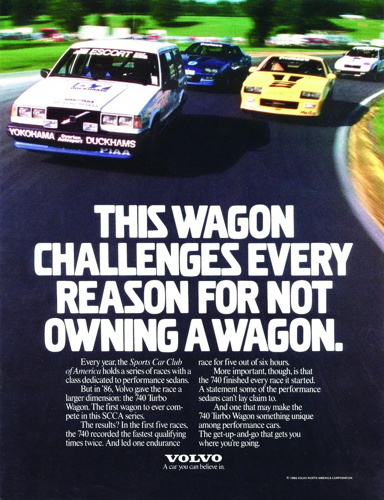 Because as I'm reading along in this bemused history of Volvo's short-lived but impressive 850 station wagon racing program, in the BTCC and later [still, even] in the Dutch Supercar Challenge, I see that the SAM ur-850 Supertouring still exists, and is for sale?? Can this still be true? 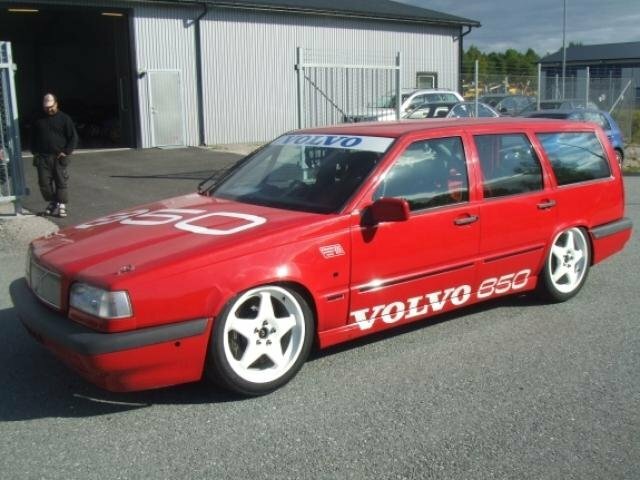 Volvo approached Steffansson Automotive (SAM) in 1993 about racing the 850, and when the only bodyshells available in time for the season were estates, SAM went with it. 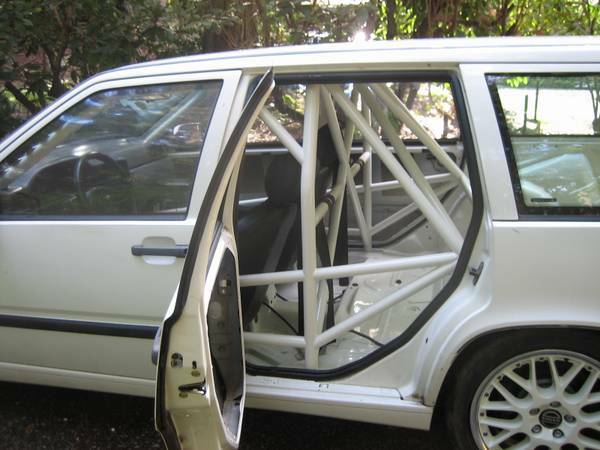 This 1994 Volvo 855 was the prototype. It had a normally aspirated 2.0L 5-cylinder with 280hp, FWD, and an X-Trac six-speed transmission. Now, according to the Swedish sale listing, it has a new turbo engine. Is it a 2.3L 5-cyl? A 2.0? Google translates puffra as a "six-shooter," so I'm only more confused. Anyway, whatever it is, it is, or was, for sale for SEK299,000, about $US45,000. I'd say buy both, and have one for the street, and one for the track. 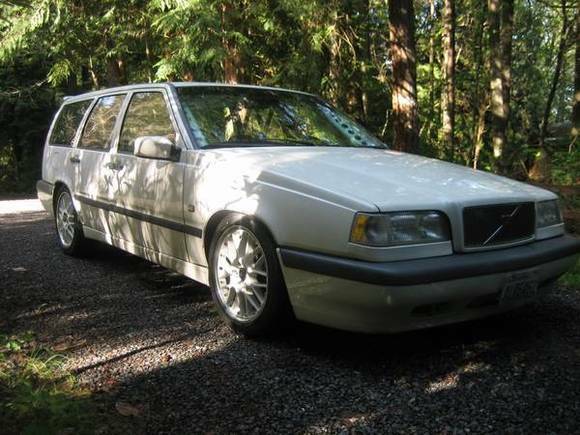 UPDATE IN LIEU OF COMMENTS: DT racing guru DT reminds us all that Volvo NA's Bob Austin and Fred Hammond were integral to getting the Volvo 745T into SCCA racing in the mid-80s, years before the BTCC. For bonus points, here's Marc McCourt's 2011 Hemming's story about Volvo's racy 80s and the magazine ads [above] they burned into my teen brain. Previously, related: "All I smell is raw power and speed." David Letterman and Paul Newman's Volvo 960 racing wagons, with puffers.